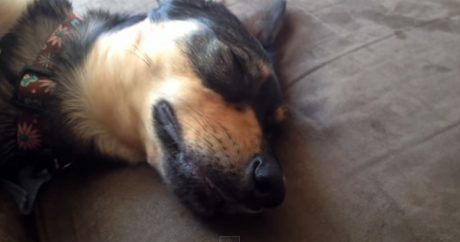 Video: A cute puppy named Roxy is dreaming during an afternoon; judging from her behavior, what could she possibly be dreaming about? Cats? Food? Something else?